One of the overarching themes of day two at MWC has been how software can help telecom service providers to improve operational IT efficiencies – i.e. improved automation and reduced human interaction. For telecom service providers, the problem is not building a cloud, rather operating and maintaining it once operational, especially when the software is distributed on many different machines, domains, or environments. This is why telecom service providers are adopting solutions that can automate all layers of the stack. From bare metal server provisioning to Infrastructure as a Service (IaaS) via OpenStack, and operations modeling to connect, deploy, and integrate software applications provides further validation of our solutions. Outside of the demos and customer feedback we identified several proof-points from our partners stating we are on track. For example, multiple partners were showcasing various Canonical solutions in their booths. In addition to announcing the launch of the Edge IoT Gateway 3000 with Ubuntu Core 16, Dell Technologies are demonstrating how they can deploy ~50 of their DSS 9000 Rackscale Infrastructure servers using Metal as a Service (MAAS) bare metal provisioning solution and the OpenStack Autopilot. Autopilot handles every aspect of deploying production clouds across multiple physical machines through installation, expansion and everyday operations. Kontron, who develops carrier-grade infrastructure solutions, is demonstrating what they call the SYMKLOUD OpenStack Platform. 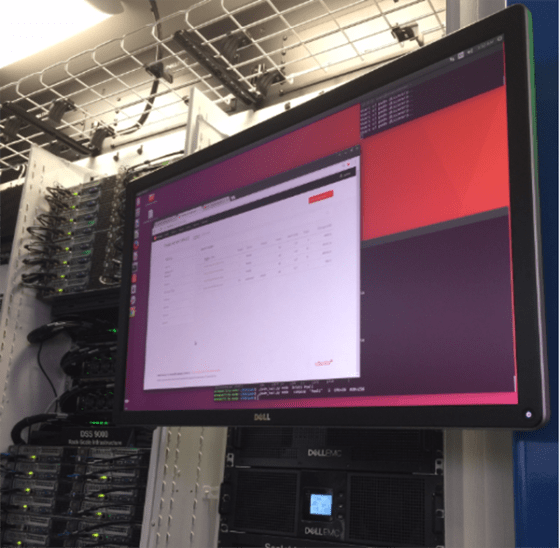 In collaboration with Canonical, Kontron has achieved validation on the Ubuntu OpenStack solution to be deployed on Kontron’s SYMKLOUD hardware. 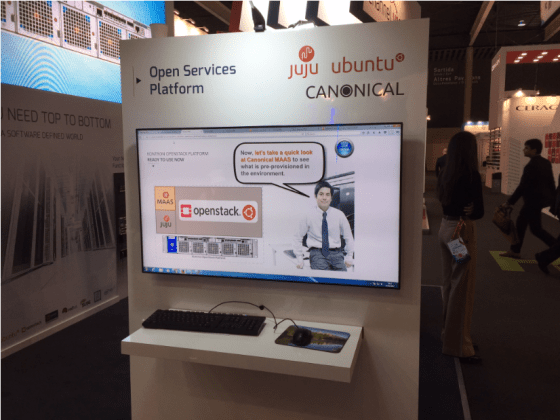 This OpenStack solution leverages Canonical’s tools, including Juju Charms, MAAS, and OpenStack to help mutual customers quickly configure and combine all the elements of a complex SDN or NFV infrastructure. Rebaca is demonstrating their ‘snapped’ Automated Behavior Oriented Testing (ABOT) solutions on the Ubuntu booth. Rebaca has used a cucumber-based framework deployed with either Project Clearwater IMS core or Eurecom’s OpenAirInterface EMS NFV to ensure the compatibility of Virtual Network Functions (VNFs). On the device side, we are excited to announce that Canonical received a major award from Orange for Outstanding achievement in converged computing & digital openness at their Device Partner Awards ceremony. With 25 awards over four categories, the Orange Device Partner Awards celebrates the 10th anniversary of the smartphone and aims to recognise individuals and organisations across the telecoms industry that have contributed to the smartphone revolution. The recipients were announced at a private lunch held at the Hotel Miramar with telecom dignitaries and members of the Orange Executive Committee, including Stéphane Richard (Chairman & CEO) Gervais Pellissier (Delegate CEO, European Operations), Pierre Louette (Delegate CEO, General Secretary, Operators (France) and Purchasing) and Mari-Noëlle Jégo-Laveissière (Senior Executive Vice President, Innovation, Marketing & Technologies). We are delighted to have been recognised by one of our key partners and will continue to bring award-winning solutions to the marketplace. Tomorrow we will separate the promise from the hype in Industrial IoT and outline how telecom service provider executives are leveraging software applications to drive revenue generating services. If you’re at MWC 2017 and you haven’t visited us yet, please come by! If you aren’t here, follow us on Twitter @ubuntu, @ubuntucloud for tweets all week long.